Jeg Coughlin Jr. ruled Pro Stock on Sunday at Thunder Valley. 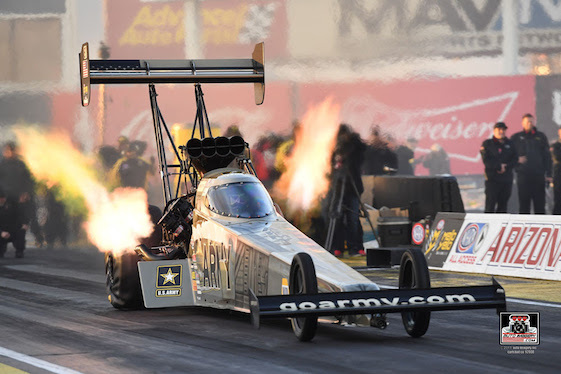 Don Schumacher Racing celebrated Father’s Day by sweeping NHRA’s two nitro classes during the 18th annual Fitzgerald USA NHRA Thunder Valley Nationals. Tony Schumacher, son of the “Donfather,” prevailed in Top Fuel and Ron Capps earned the Wally trophy in Funny Car Sunday at Bristol (Tenn.) Dragway. It was the first trip to the winner’s circle this season for the veteran Mopar-powered drivers who count nine world championships between them. Additionally, Jeg Coughlin Jr. posted his second Pro Stock victory of the season with his father in attendance at the 11th of 24 events on the 2018 NHRA Mello Yello Drag Racing Series schedule. Tony Schumacher defeated upset-minded Mike Salinas in the Top Fuel final, covering the 1,000-foot distance in 3.946-seconds at 313.58-mph after leaving the starting line with an 0.065-second reaction time. “The Sarge” advance to his third final of the season and the 150th of his career, and now has six victories at Bristol in eight career final rounds. The victory was the first in Top Fuel for veteran crew chief Mike Neff, who won Funny Car world championships working with John Force in 2010 and Cruz Pedregon in 1992. Neff worked alongside tuning legends Austin Coil and Bernie Fedderly to guide Force to the 15th of his 16 world titles. Neff was a fulltime mechanic on Pedregon’s team that ultimately defeated Force for the title in ’92. “Mike was telling me to get the fact it’s my 150th final round and his first (Top Fuel event win) out of my head, to just do what I do _ get a 60 light, go down the racetrack, keep it in the middle and pull the parachutes,” said Schumacher, an eight-time world champion who recorded his 84th career Top Fuel win. “We’ve been in 150 final rounds, and people are going to win some of those against us. When you race in the final round, you have to be calm, relaxed, do your job and get that win. “At the end of the day what you don’t want to do is say you could’ve had more wins, but you’ve left something on the table. We’ve had times when we’ve lost on a hole shot, times we’ve done different things and got outrun _ there’s always going to be a reason why you didn’t win, but you’ve got to minimize that. We try to be the best we can, try to be a machine and just replicate what we do best. Schumacher qualified second and defeated Terry McMillen, Pat Dakin and point-leader Steve Torrence on his way to victory. Salinas qualified eighth and took down Leah Pritchett, No. 1 qualifier and Tennessee resident Clay Millican and Scott Palmer as he secured the first runnerup finish of his career. Capps secured his first victory of the season and 59th of his career with a 1,000-foot pass in 4.234-seconds at 296.37 mph in his Dodge Charger R/T to defeat Bob Tasca III in the final. The 2016 world champion, Capps now has earned back-to-back victories at Bristol Dragway. Capps defeated longtime nemesis John Force, two-time/reigning world champ Robert Hight, J.R. Todd and Tasca on his way to becoming the most decorated Funny Car driver in Bristol Dragway history with five victories. Capps and Force began the weekend tied for the most Funny Car wins at Bristol with four trophies each. Tasca, who has returned to the series fulltime this season with sponsorship from Ford Motor Company, qualified fourth and bested Tim Wilkerson, two-time world champ Cruz Pedregon and point-leader Courtney Force as he reached his first final since Kent, Wash., near Seattle in 2013. Tasca was seeking his first national event victory since the 2012 NHRA FallNationals at Texas Motorplex in Ennis. Tasca did break into the top-10 in points at 10th, just two points behind John Force, in a bid to qualify for the six-race Countdown to the Championship playoffs. Capps quickly made up a small starting line advantage by Tasca en route to his 58th Funny Car win, 59th overall and milestone 300th nitro event Wally for Don Schumacher Racing. Many top-tier nitro teams have struggled with NHRA’s new track preparation procedures, but Capps was confident Tobler finally has cracked the code on a hot weather tune-up. Both DSR drivers moved up in their respective point standings. Schumacher advanced from fourth to third in Top Fuel while Capps moved from sixth to fifth. Jeg Coughlin Jr. added a Thunder Valley ‘Wally’ to his collection. mph in his JEGS.com/Elite Performance Chevrolet Camaro SS to defeat point-leader Greg Anderson in the final. Coughlin became the third driver in the “Factory Hot Rod” class to earn two victories this season. Additionally, Coughlin now has scored three wins in the last three weekends. He won in Pro Stock at Route 66 Raceway in Joliet, Ill., followed that with a Super Comp win in Dinwiddie, Va., last weekend and extended the streak to three with the Pro Stock victory at Bristol. The victory was Coughlin’s 60th in Pro Stock and he joined “The Professor” Warren Johnson (97), Anderson (90) and the late 10-time world champion Bob Glidden (85) with at least 60 wins in the category. 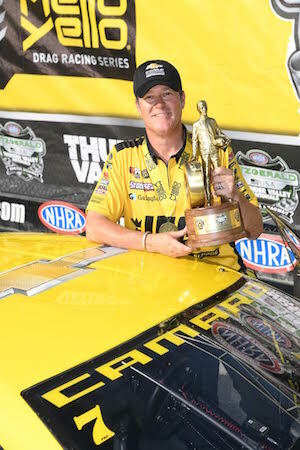 Jeggie is the seventh driver in NHRA history to reach the 60-victory mark in one class. He now has 79 career national event wins _ Pro Stock (60), Super Street (seven), Super Gas (five), Super Comp (three), Top Dragster (two), Stock (one) and Comp (one). Coughlin ended a four-year winless streak with his Pro Stock win at Route 66 Raceway near Chicago. “There were some trying times,” said Coughlin, a five-time world champion. “I’ve been blessed with an amazing career and have worked around some of the brightest crew chiefs, engineers, engine-builders, car chiefs, etc. 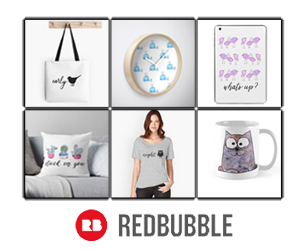 We’ve got a lot of great things to show for it. The No. 2 qualifier, Coughlin started his day with a solo pass in the first round, as No. 16 qualifier Tommy Lee crashed Saturday when his car’s parachutes failed and he couldn’t make the call. Coughlin then defeated Chris McGaha and Drew Skillman to match-up against Anderson, a four-time world champ and driver of the Summit Racing Equipment Camaro SS. Coughlin blistered the Christmas Tree against Anderson with a 0.018-second light. He beat Anderson’s 6.741-second run at 205.07 mph. Anderson now has two runner-up results as he continues to chase his first win of the 2018 season. The season will continue in Norwalk, Ohio, from June 21-24. Top Fuel _1. Tony Schumacher; 2. Mike Salinas; 3. Steve Torrence; 4. Scott Palmer; 5. Pat Dakin; 6. Doug Kalitta; 7. Antron Brown; 8. Clay Millican; 9. Brittany Force; 10. Leah Pritchett; 11. Shawn Reed; 12. Richie Crampton; 13. Dom Lagana; 14. Bill Litton; 15. Terry Totten; 16. Terry McMillen. Funny Car _1. Ron Capps; 2. Bob Tasca III; 3. Courtney Force; 4. J.R. Todd; 5. Robert Hight; 6. Jack Beckman; 7. Tommy Johnson Jr.; 8. Cruz Pedregon; 9. Tim Wilkerson; 10. Del Worsham; 11. Jonnie Lindberg; 12. Shawn Langdon; 13. Jim Campbell; 14. Matt Hagan; 15. John Force; 16. Jeff Diehl. Pro Stock _1. Jeg Coughlin Jr.; 2. Greg Anderson; 3. Tanner Gray; 4. Drew Skillman; 5. Erica Enders; 6. Vincent Nobile; 7. Tim Freeman; 8. Chris McGaha; 9. Jason Line; 10. Bo Butner; 11. Alex Laughlin; 12. John Gaydosh Jr.; 13. Wally Stroupe; 14. Alan Prusiensky; 15. Deric Kramer; 16. Tommy Lee. Top Fuel _Tony Schumacher, 3.946-seconds, 313.58 mph def. Mike Salinas, 5.251-seconds, 152.18 mph. Funny Car _ Ron Capps, Dodge Charger, 4.234, 296.37 def. Bob Tasca III, Ford Mustang, 4.300, 286.98. Pro Stock _ Jeg Coughlin Jr., Chevy Camaro, 6.709, 205.10 def. Greg Anderson, Camaro, 6.741, 205.07. Pro Modified _ Khalid alBalooshi, Chevy Camaro, 5.924, 247.38 def. Todd Tutterow, Camaro, 5.948, 242.10. Top Fuel Harley _ Tii Tharpe, Dixie, 6.491, 220.33 def. Doug Vancil, Weekend, Foul/Red Light. Factory Stock Showdown _ Joseph Welch, Dodge Challenger, 8.275, 164.67 def. Arthur Kohn, Chevy Camaro, Foul /Red Light. Super Stock _ Scott Stillings, Pontiac Grand Am, 8.854, 148.72 def. Ed Longhany Sr., Plymouth Duster, 10.690, 121.79. Stock Eliminator _ Eddie Longhany Jr., Chevy Camaro, 10.698, 118.70 def. Joe Santangelo, Camaro, 10.686, 113.69. Super Comp _Tyler Caheely, Dragster, 8.928, 170.71 def. Jacob Elrod, Dragster, 8.930, 165.01. Super Gas _ Steve Furr, Chevy Camaro, 9.917, 160.81 def. Ray Miller III, Chevy Camaro, 9.927, 164.21. Top Sportsman presented by RacingRVs.com _ Jeff Brooks, Henry J, 6.720, 206.29 def. Royce Freeman, Chevy Camaro, 6.933, 202.18. Top Dragster presented by RacingRVs.com _ Aaron Stanfield, Dragster, 6.320, 217.84 def. Joe Fisher, Dragster, 6.498, 197.54. FINAL _ Schumacher, 3.946, 313.58 def. Salinas, 5.251, 152.18. FINAL _ Capps, 4.234, 296.37 def. Tasca III, 4.300, 286.98. FINAL _ Coughlin, 6.709, 205.10 def. Anderson, 6.741, 205.07. Top Fuel _1. Steve Torrence, 896; 2. Clay Millican, 786; 3. Tony Schumacher, 760; 4. Doug Kalitta, 717; 5. Leah Pritchett, 663; 6. Antron Brown, 588; 7. (tie) Brittany Force, 552; Terry McMillen, 552; 9. Scott Palmer, 461; 10. Mike Salinas, 421. Funny Car _1. Courtney Force, 937; 2. Jack Beckman, 736; 3. Robert Hight, 717; 4. J.R. Todd, 694; 5. Ron Capps, 693; 6. Matt Hagan, 669; 7. Tommy Johnson Jr., 606; 8. Cruz Pedregon, 508; 9. John Force, 502; 10. Bob Tasca III, 500. Pro Stock _1. Greg Anderson, 823; 2. Tanner Gray, 768; 3. Vincent Nobile, 758; 4. Erica Enders, 738; 5. Drew Skillman, 679; 6. Jeg Coughlin Jr., 671; 7. Chris McGaha, 659; 8. Bo Butner, 642; 9. Deric Kramer, 627; 10. Jason Line, 569. 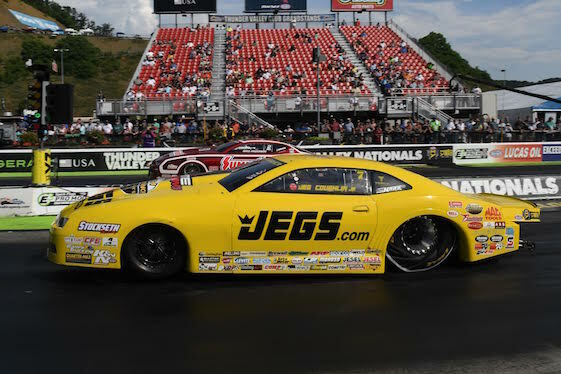 Khalid AlBalooshi drove to his first victory of the season and fourth of his career Sunday during the E3 Spark Plugs NHRA Pro Mod Drag Racing Series presented by J&A Service portion of the Fitzgerald USA NHRA Thunder Valley Nationals at Bristol Dragway. The weekend’s Pro Mod racing, presented by Elite Motorsports, was the sixth of 12 events this season. AlBalooshi covered the quarter-mile in 5.924-seconds at 247.38 mph in his Bahrain 2017 Chevy Camaro to defeatTodd Tutterow in the final. Tutterow advanced to his first final round appearance of 2018, but his 5.948-second pass at 242.10 mph fell short. AlBalooshi moved to third in the standings, while Tutterow sits eighth. Mike Janis retained his point lead by following his victory at Dinwiddie, Va., last weekend with a semifinal exit in Bristol. The Pro Mod Drag Racing Series schedule will continue at Summit Motorsports Park in Norwalk, Ohio, June 21-24. Pro Modified _1. Khalid alBalooshi; 2. Todd Tutterow; 3. Danny Rowe; 4. Mike Janis; 5. Dan Stevenson; 6. Chad Green; 7. Rick Hord; 8. Eric Dillard; 9. Mike Castellana; 10. Jeremy Ray; 11. Bob Rahaim; 12. Rickie Smith; 13. Steven Whiteley; 14. Troy Coughlin; 15. Jeffery Barker; 16. Sidnei Frigo. FINAL _ AlBalooshi, 5.924, 247.38 def. Tutterow, 5.948, 242.10. Pro Modified _1. Mike Janis, 467; 2. Rickie Smith, 424; 3. Khalid alBalooshi, 345; 4. Chad Green, 336; 5. Mike Castellana, 328; 6. Steve Jackson, 326; 7. Jose Gonzalez, 302; 8. Todd Tutterow, 290; 9. Danny Rowe, 257; 10. Bob Rahaim, 211.